Ah, back in 2011 the Bergen MOC started the day that would shortly be followed by 6 “glorious” days with no power in my house. Here is Ariana North [Northern Highlands] winning the girl’s race in 18:22 - some 48 seconds ahead of second place Josette Norris [Tenafly]. 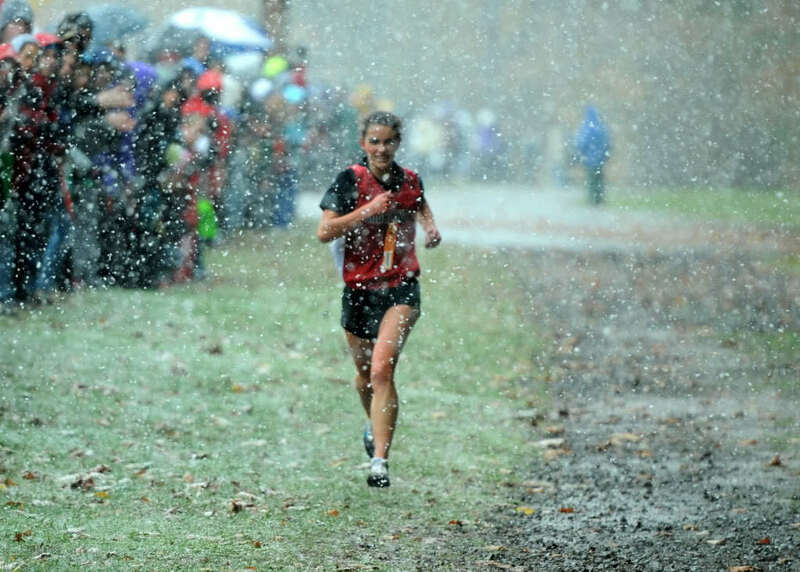 Yesterday I had a clearer view of Ariana’s repeat victory in 17:54, this time with Norris 20 seconds behind. This year I am prepared for the storm that is on its way and have a generator at the ready.